Most people get to the point in life where they don’t need a toy to be in their room. I could survive without them, but the memories they hold means I like keeping them. 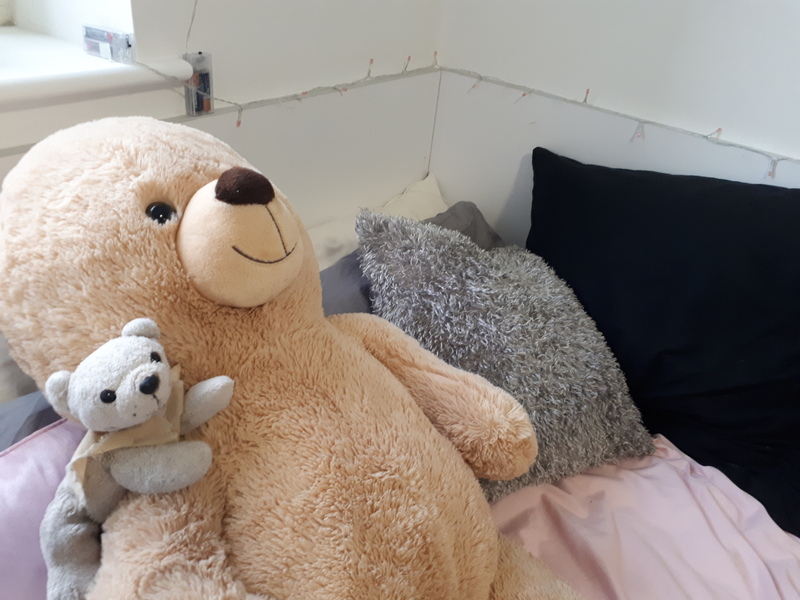 My polar bear Snowiy has been with me since I was four years old, and my big teddy bear Beary… Well, I just held him in The Entertainer one day and fell in love with him a bit. They add a cute addition to the room and are a nice little bit of home away from home. Another comforter from last year, I have learnt the power of walking into a room with a nice scent. After a stressful day, it’s nice to just walk into a room that’s welcoming you. Although last year I was hungover for about two weeks straight so it made me a bit nauseous, to begin with… But that wasn’t the diffuser’s fault, that was mine! Primark does lovely scented ones for about £6, and if you go to TK-Maxx they’ll often have massive ones for £3 or so that are from luxury brands. When I lived in halls last year, I got my family to send me pictures of us on holiday. I also grabbed a couple of my best friend Molly. This made my halls feel a little less lonely and made the blank walls less empty. This year I have been taking my own holidays over the summer, from when I went to Cannes, the Isle of Wight and Somerset. It’s absolutely pouring it down with rain as I write this, so it will be extra lovely to remind myself of the times I had in the sun. The Freeprints app prints photos from your phone for free, and you only pay delivery! 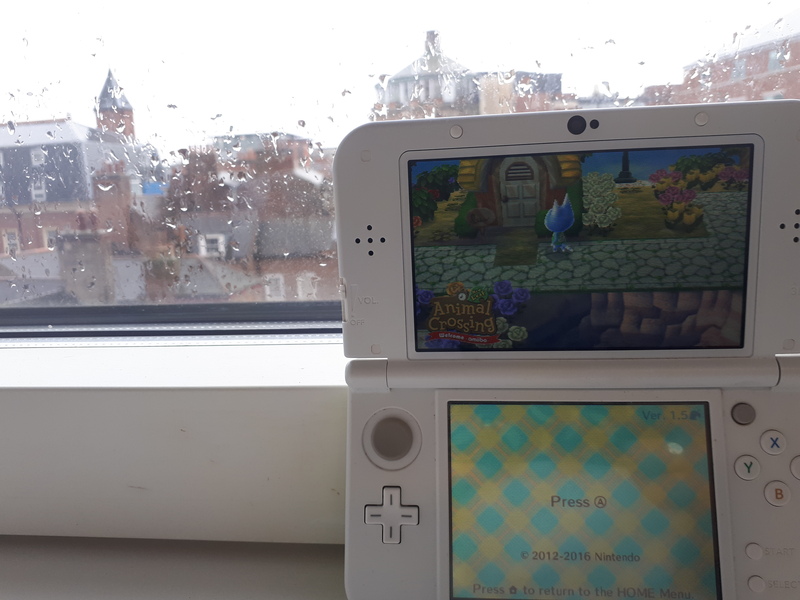 The premise of my favourite game Animal Crossing reflects the same concept as going to university – you move to a new town where you don’t know anyone, and you work to make a life for yourself there. In a place where I had to experience that feeling for real and am still working at building myself here, it is nice to be able to go somewhere where I can just relax. I believe that video games can be therapeutic, and certainly, in this game, I have found comfort when sometimes I feel a little lost. Sometimes you just need a bloody good cup of tea, and nothing is better than curling up in bed watching your favourite Netflix shows with a steaming cup of it. I do like PG Tips (only PG Tips, I’m loyal to my bags), however recently I have got into loose tea which is actually lovely and refreshing. You can get it so cheap as well – in Nottingham my boyfriend and I got a load of it from Søstrene Grene for £1.20. We had Baileys flavour which was unusual but tasty, but there’s way more variety in loose tea than bagged tea that you can discover for yourself. These are essentials for me personally, but everyone’s essentials whenever they go somewhere new are different, whether that’s going to university or otherwise. What are your essentials? Are some of them the same as mine? Let me know in the comments!